We first learned of the Post Office’s celebrity chef stamps at Chicago Gourmet this year, where you could pick up a postcard with one of the stamps and fill in your favorite dish by the chef. The chefs featured in the stamp series are: James Beard, Julia Child, Joyce Chen, Edna Lewis, and Felipe Rojas-Lombardi, who are profiled in the LA Times. At Chicago Gourmet people, posted a range of dishes inspired by each chef, and I had to give a nod to Southern chef Edna Lewis’ Shrimp and Grits. The post office also recently featured a Farmer’s Market stamp series, and we certainly appreciate the foodie turn of our recent letters. The more things change, the more they stay the same. Take for example, Michelangelo’s handwritten 16th-Century grocery list. The list includes staples like fish and bread, and even comes with illustrations. So, ok maybe that is a bit different since the person buying groceries for Michelangelo was likely illiterate. Halloween is tomorrow – and maybe you’re still searching for a costume. Here at ETW we are always on the lookout for a clever food costume or two. We came across a vintage costume we had never seen before via the ever-entertaining Retronaut: a side of bacon. This takes love of bacon to a whole new level (and it took home first prize in the 1894 Covent Garden Fancy Dress Ball). We love the food site Food 52, and we are really enjoying one of their newest features: Heirloom Recipes, where a different blogger each week shares a family recipe passed down to them. There is something very satisfying about recipes that are passed on from generation to generation, and almost everyone can think of something that their grandma, grandpa, aunt, etc. made that was absolutely THE BEST. Heirloom recipes on Food 52 is a weekly feature, and so far they have included recipes for Zucchini Bread and Norwegian Boller (Cardamom rolls). They may be wildly popular in Mexico, the US and…pretty much everywhere else, but what is the exact origin of the taco? We can assume they are from Mexico, but what beyond that? 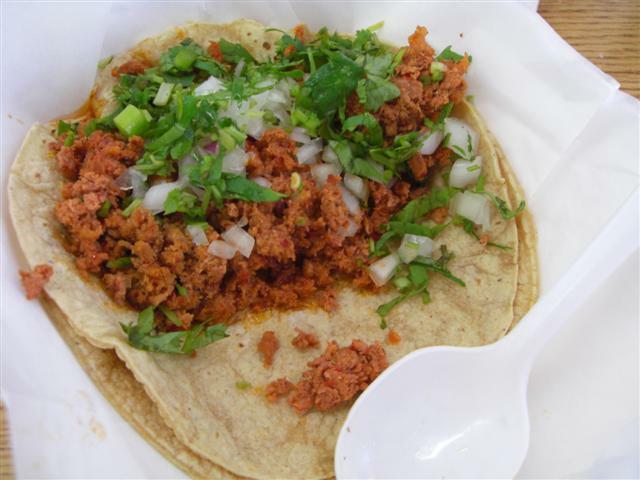 Though somewhat shrouded in mystery, this Smithsonian Magazine interview with Mexican food expert Jeffrey M. Pilcher, professor of history at the University of Minnesota, talks about the history of the taco. The origins of the taco are really unknown. My theory is that it dates from the 18th century and the silver mines in Mexico, because in those mines the word “taco” referred to the little charges they would use to excavate the ore. These were pieces of paper that they would wrap around gunpowder and insert into the holes they carved in the rock face. When you think about it, a chicken taquito with a good hot sauce is really a lot like a stick of dynamite. The first references [to the taco] in any sort of archive or dictionary come from the end of the 19th century. And one of the first types of tacos described is called tacos de minero—miner’s tacos. So the taco is not necessarily this age-old cultural expression; it’s not a food that goes back to time immemorial. [Read more here]. Though Italian food may now be known for its abundant use of tomatoes, this was not always the case, and pre-Tomato italian food was very different. Tomatoes were introduced to Italy in only the 18th century, having originated in South America. Gapers Block has an example of food representative of pre-Tomato Italy: Genovese Onion Sauce. 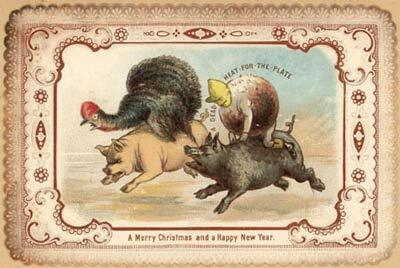 Thought everyone might get a kick out of this crazy 19th-century British postcard entitled “A dead heat for the plate,” found through the Liverpool National Museums Blog. Happy Eating! The ever-impressive food journal Gastronomica published a history of the origins of Pad Thai. While considered THE quintessential Thai dish by many Americans, Pad Thai’s origins are significantly murkier, and is much less common in Thailand itself than in Thai restaurants in other countries.Within Thailand we had our only Pad Thai experience on Khao San road, an area notorious for its amounts of European and North American backpackers. The Pad Thai vendors there were definitely catering to an audience! The full name of the dish, Kway teow pad Thai even indicates Pad Thai may even have Chinese origins. 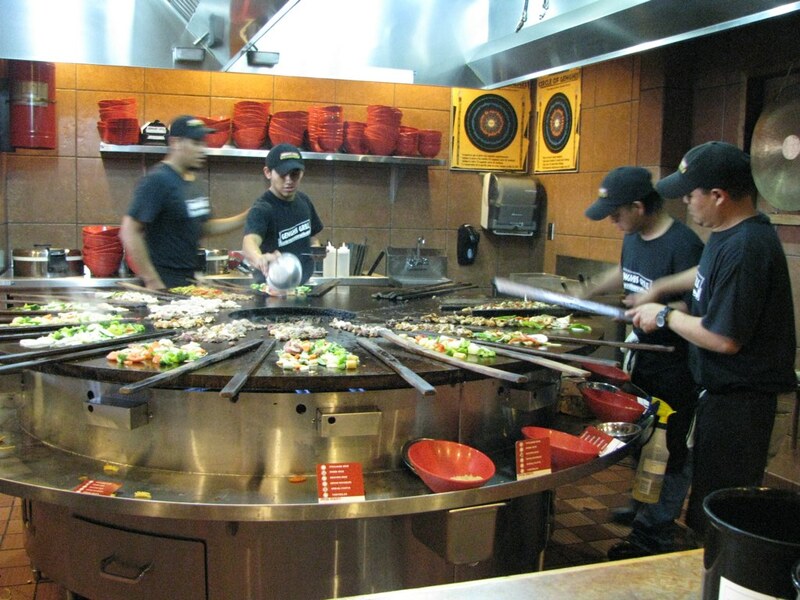 Check out the Gastronomica article for a full history of Pad Thai. I recently discovered an amazing Tumblr, Finley’s Good & Bad Taste, which focuses on retro recipes and ephemera from cookbooks of years past. There is some crazy stuff in there – a lot of loafs, jellos, icebox cakes, etc, and also a few retro “world cuisine” recipes, which are definitely intriguing. Check it out! 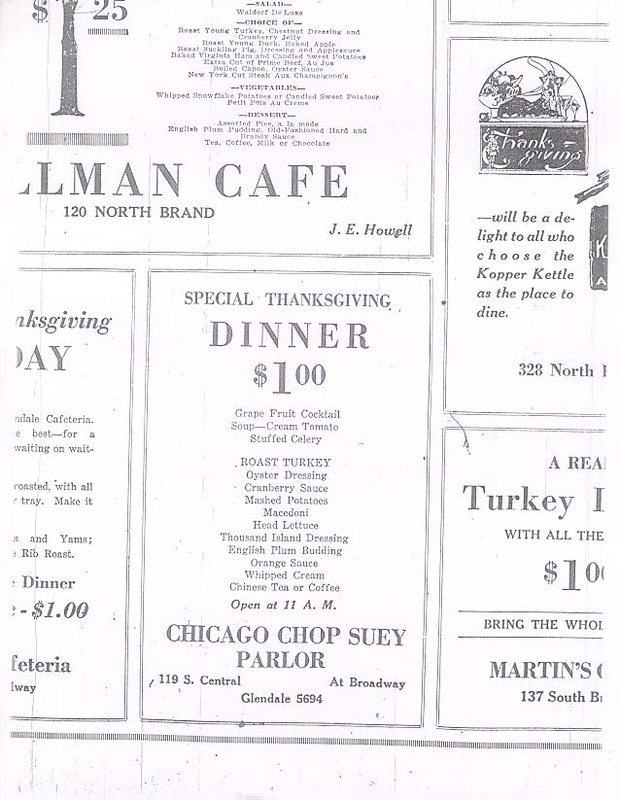 It’s pretty amazing to look at historical menus, both for the prices and the actual menu items (how times have changed!). The LA Public Library and the New York Public Library both an extensive selection of old menus. 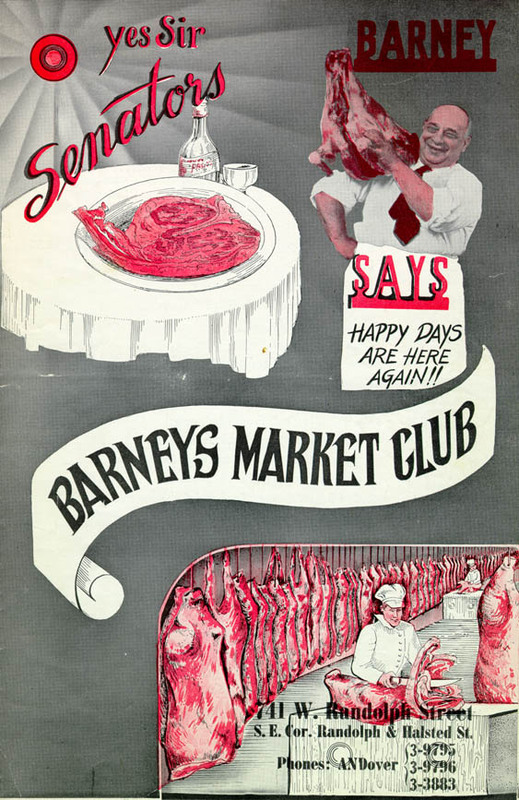 There are even a few from Chicago, including an intriguing ad for the Chicago Chop Suey Parlor from the 1940s and a menu for the (relatively) recently-closed Barney’s Market Club. 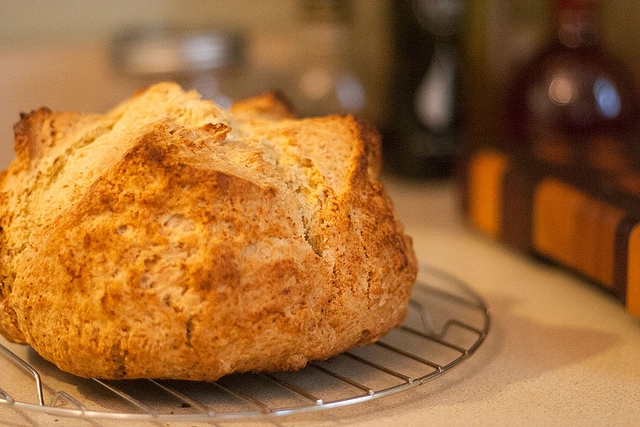 Just in time for St. Patrick’s Day, have a look at the oldest published Irish Soda Bread recipe [Via Sodabread.us]. It comes from a November 1836 Farmer’s Magazine (London) p.328 referencing an Irish newspaper in County Down. Feeding America is an interesting project out of Michigan State that is dedicated to digitizing local cookbooks from all eras of American history. I came across this site when I was researching recipes for St. Lucia’s Day, and found a Swedish-American bilingual cookbook from 1897. You can browsw by year or interest, which includes ethnic cookbooks, and then look at pages of the cookbook itself or a trascript of the recipes. Other great finds include Aunt Babette’s Jewish cookbook from 1889 and a Chinese-Japanese Cook Book from 1914. [Via Craft] 93 year old Clara Cannucciari lived through the Great Depression, and now, courtesy of her grandson, also has a cooking show on YouTube. Great Depression Cooking with Clara is a fun and charming show, that is unfortunately especially relevant today. Clara was a 1st generation American, whose parents immigrated to Chicago from Sicily. She reminds me a lot of my (L) own grandma, who pretty much shares the same story!